This is uncomfy on a bunch of levels. North West, age 5, has a "boyfriend." He's rapper Consequence's 7-year-old son Caiden Mills, and he buys her things from Tiffany & Co. Naturally, the internet feels weird about it. 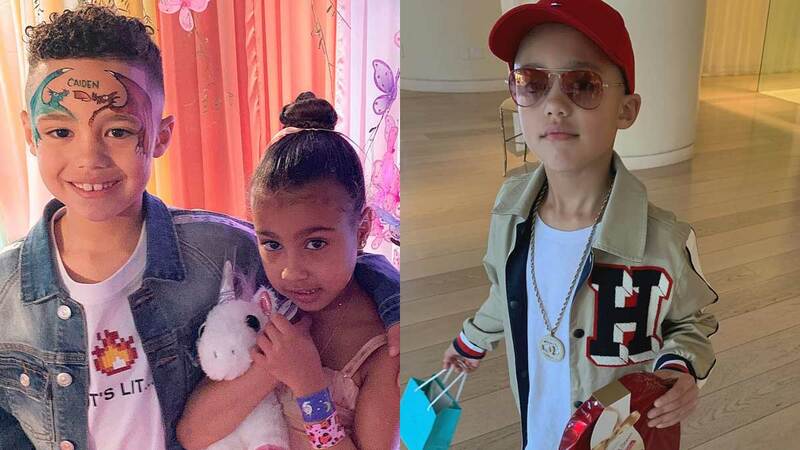 I'm here to drop some news on you: North West, age 5, has a "boyfriend," and the internet is very, very confused. Basically, rapper Consequence's 7-year-old son Caiden Mills has an Instagram account where he (read: his parents) have been posting pictures with captions that reference North as his "boo." It's a little weird considering neither of them are old enough to run their own social media accounts. It looks like he even bought her something from Tiffany & Co.
Caiden's family and the Wests go way back because Kanye and Consequence work together a lot, but still, the internet has plenty to say about this "relationship."